Check out our LDV Maxus Tipper Truck Hire from Callvan Hire. We have a range of different hire options available to fit your needs and requirements. LDV Maxus Tipper Truck Hire can be for just a day, or you can make use of our contract hire. This is a great hire option for businesses, offering secure long-term hire at a great price. 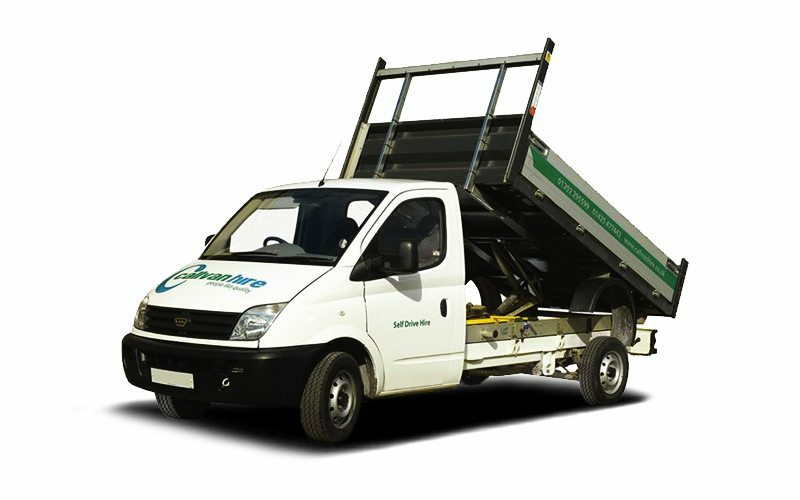 Tipper trucks are great for transporting a variety of different items such as: domestic waste; construction waste and garden waste. This tipper truck has a payload of 1250 KG, an engine size of 3.0L and 3 seats.